The leaves crunched beneath my feet as my flashlight’s beam scanned the surrounding woods. “Anyone there?” I asked, knowing there would be no answer in this competitive game of flashlight tag. The light dimmed and I banged it against my leg, hoping to reignite the light but it faded until it disappeared completely. A nearby owl hooted. The leaves rustled as something darted through the trees, probably a squirrel. The moon hid behind the clouds and the darkness settled on my shoulders like a heavy weight. I couldn’t see my hand in front of my face or the outline of trees that I knew were there. Goosebumps covered my arms but I refused to be scared. I wouldn’t let my fear of the dark overwhelm me tonight. Have you ever been overwhelmed? Weighed down by past choices? Fearful because you couldn’t see the path ahead of you or maybe fearful because its not the path you would have chosen? When you’re in this overwhelming place, it feels like the darkness is closing in on you? Maybe scared of the darkness itself like I was? It’s scary not seeing in front of you, the blindness causing uncertainty and unsure steps. The darkness engulfs us, seeking to oppress us. You may not physically be in the dark but we can all experience dark places in our lives. Uncertainty of the future. Unsettled from changes. Uneasy with our choices. With a dead flashlight battery and no backup, I was scared despite all outward shows of bravery. I didn’t like not knowing where to put my next step. I couldn’t see where to go next and for all I knew, a hunting trap lay just ahead of me, ready to snap me up in captivity. The light from a simple flashlight brought comfort because we see our surroundings and those things that felt so uncertain in the dark. In the glorious light illuminating those next few steps, lay the path we should take. Jesus tells his disciples in John 12:35 to walk in the light before the darkness overtakes them because the one who walks in the darkness cannot see where he is going. He isn’t referring to a flashlight or other source of light to brighten the darkness, but rather Himself. 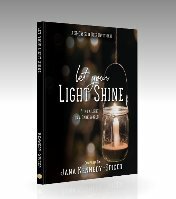 These are some of the last words Jesus says, letting them know there is still time to turn to the light. The crowd could physically spend time with Jesus in person but He wanted them to know and trust Him even after He was gone. Are you spending your life in uncertainty and fear because you’ve been living in darkness? Jesus says it doesn’t have to be that way. 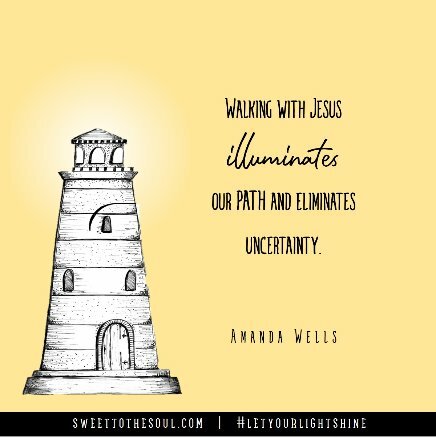 We might not be able to see Jesus face to face like his followers back then could, but we can still walk in His light. We can spend time reading the Bible and know Him better. And when we walk in His light, we become children of light, revealing the truth and pointing people to God. 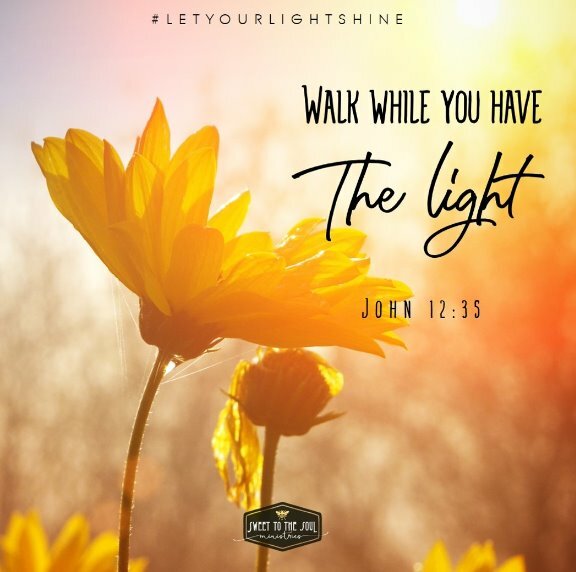 Will you walk in the light today? Dear Lord, I’ve made some bad choices and I feel all alone, like I’m stranded in the dark and I don’t know where to go from here. Forgive me for falling away from you and into the dark, shine you light on my life. Show me where to go from here and place people in my life to encourage me. Draw me nearer to you and illuminate your words as I read them in scripture. Be my light and help me point others to your. In Jesus’ name, Amen.